NOMAD Batteries use the heaviest and thickest lead plates available in the battery industry. This is part of its design as a battery, to last thousands of working cycles. The NOMAD POWER E2 has an extreme long design life (10 years) with zero maintenance required. 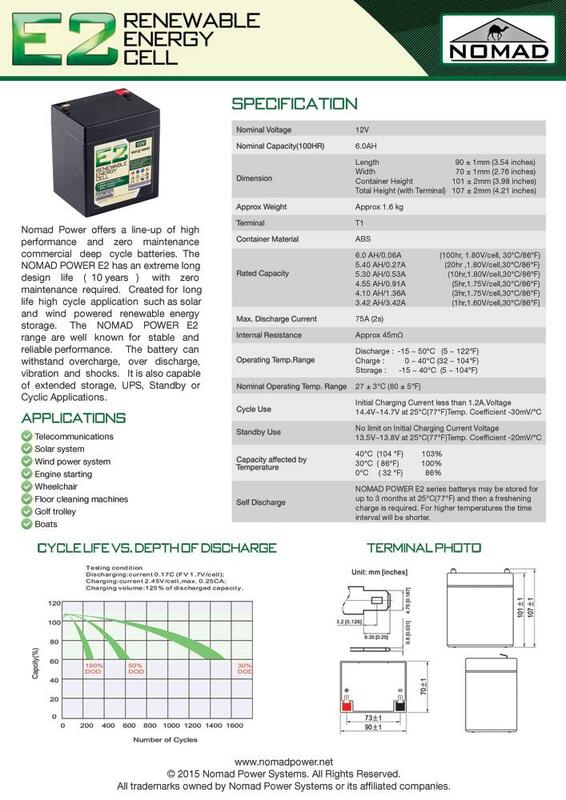 Created for long life high cycle application such as solar and wind powered renewable energy storage. 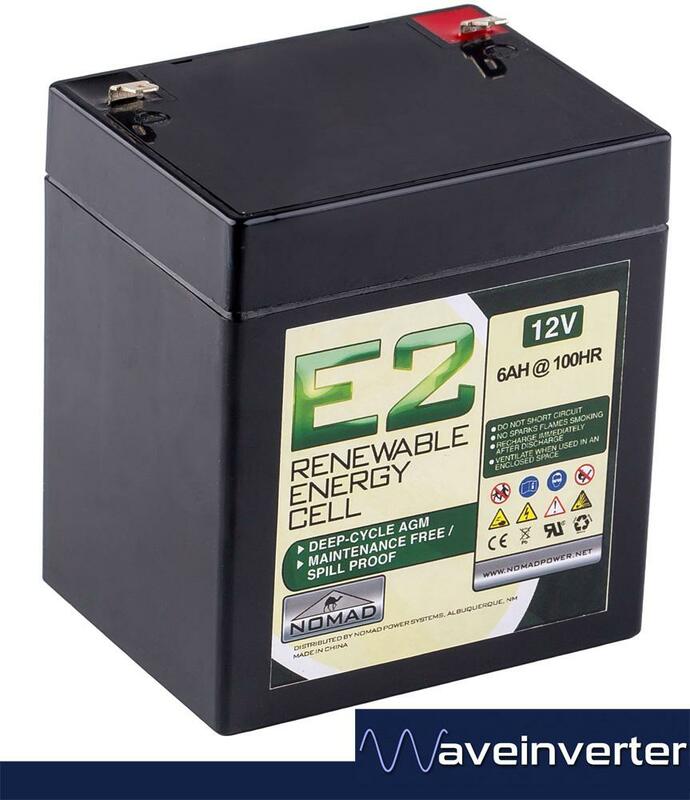 The NOMAD POWER E2 is suitable for solar and wind powered homes, TV/Radio stations and solar powered equipment. The battery can withstand overcharge, over discharge, vibration and shocks. It is also capable of extended storage, UPS, Standby or Cyclic Applications.